About the image: Step 1: A glass with a friend. Step 2: A glass to keep the cold out. Step 3: A glass too much (weaving). Step 4: Drunk and riotous (policeman with club”). Step 5: The summit attained…Jolly companions…A confirmed drunkard. Step 6: Poverty and Disease (with cane). Step 7: Forsaken by Friends. Step 8: Desperation and crime (with gun). Step 9: Death by suicide.” Early 19th century Temperance painting. Fear, laced with appeals to the conscience, was the main weapon of temperance leaders of this period and later who endeavored to make Americans forswear the bottle. The rise of social disorder, with burgeoning slums, impoverished families, increases in crime, prostitution and Sabbath-breaking, was seen by many as the result of drink. Aside from the penitentiary and its supposed influence through fear, another means of crime prevention was the temperance movement. “Drink is the cause: stop crime and poverty at their source.” Temperance tales paint the drinker as not only immoral and sinful but also unsuccessful: the drunkard loses devotion to work, his reputation for reliability, and his job. Why does American River College faculty member, Camille Leonhardt, find this image interesting? Images of the Drunkard’s Progress are very useful in helping students to understand the Temperance Movement of the nineteenth-century. The Temperance Movement arose within the broader context of economic and geographic transformations underway. Alcohol consumption increased dramatically during the early nineteenth-century, with distilled liquor consumption peaking in the early 1830s. The Drunkard’s Progress image serves as a useful tool for beginning to explore these trends during the era. Why were Americans drinking more distilled liquor? (Cultural changes underway and increased anxiety). Why did they have access to more distilled liquor? (Physical expansion and the ease of transporting a concentrated form of their crops, such as grains and barley). The image also serves as a very useful tool for exploring how Americans sought to establish order within a period of cultural and economic change. The two-pronged strategy pursued by temperance societies reveals how Americans sought to establish social order by imposing legal sanctions prohibiting the sale and manufacture of liquor, in addition to encouraging individuals to take oaths of abstinence. Advocates of temperance signed pledges to abstain from liquor consumption. 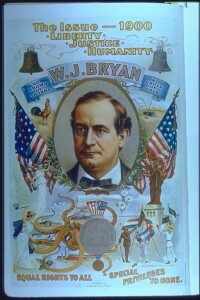 Temperance advocates achieved a legal victory in Maine in 1851, with passage of the first statewide prohibition statute. Participation in the Temperance Movement proved to be very validating for women and provided many women with opportunities to develop skills and confidence needed to demand political rights of their own. Established in 1874, the Women’s Christian Temperance Union, WCTU, became one of the largest female organizations in the United States. Even before the formation of the WCTU, other temperance societies provided women with the rare opportunity to participate in meetings, plan strategies, and gain experience with leadership. View more temperance images from before 1870 here. Susan Leighow, Rita Sterner-Hine, The Antebellum Women’s Movement, 1820 to 1860: A Unit of Study for Grades 8-11,Organization of American Historians and the Regents, University of California, 1998. Elisabeth Griffith, In Her own Right: The Life of Elizabeth Cady Stanton, New York: Oxford University Press, 1984. Share your ideas! How would you use this image? This entry was posted in U.S. History and tagged temperance, women on January 31, 2012 by jbcosca. Katharine Kipp, graduate student in the History department at U.C. Davis, shares her thoughts about using advertisements to teach history. The Marchand Collection features a vast selection of advertisements from various eras. 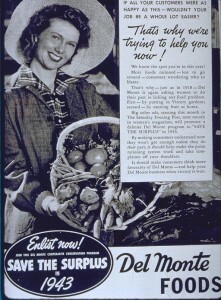 I particularly like those printed during WWII by Del Monte Foods that asked the average citizen, women in particular, to help with the war effort through their consumption habits. I find these ads appealing because they offer an engaging and useful way to discuss the WWII home front. They provide a significant amount of material for students to examine, and do not require reading all of the text in order to fully understand the meaning of the ad as a whole. These images can help enhance lessons covering a wide range of issues. First, they provide an opportunity for teachers to talk about the role of women on the home front. Typically, classroom discussions draw upon Rosie the Riveter as the primary example of women’s participation in WWII. These ads provide an opportunity to widen the scope on women’s lives during the war. The ads “drafted” female consumers by targeting their domestic sensibilities. They were asked to “Enlist Now!” in an effort to combat the challenges of rationing. Specifically, the ads argue that “Unless You Do Your Part” the rationing system will not work. Essentially these ads help demonstrate the link between a consumer and a patriotic citizen by reminding the audience that purchasing for one’s own self-interest would undermine the war effort. 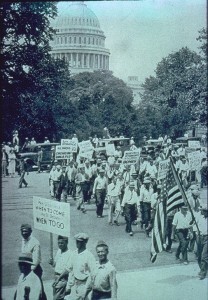 Consumers had to work together with producers to see the nation through the war. Use these ads alone or coupled with war industry ads to discuss the variety of ways women were called upon to contribute to the war effort. Secondly, teachers can use these ads to help transition to Cold War lessons. They help transition the discussion from self-interest consumption as a potential danger during WWII, to consumption as vital for national stability during the Cold War era. Finally, I think these ads combined with others from the 1940s and beyond offer an appealing way for students to discuss advertising in general—the importance, pitfalls, and significance. I find ads are a great way to engage students in discussion as they often portray stereotypes and gender roles, provide insight to socioeconomic issues of the era, and offer a glimpse into the mindsets of both the producer and consumer. Click here to explore more advertising images in the Marchand Archive. How do you use advertisements to teach history? Share your thoughts here. This entry was posted in U.S. History and tagged advertisements, Cold War, home front, women, WWII on January 26, 2012 by jbcosca.